I've got some pretty crafty friends, no? I wanted to host a Pinterest Party after I saw the concept for it on, well where else, Pinterest. 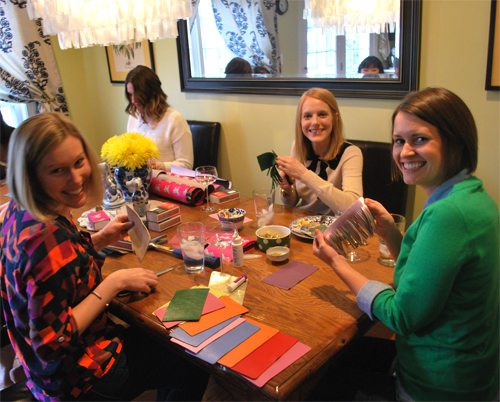 It seemed like such a great idea to do something different and fun all while getting together with friends. Really, any excuse for getting together with friends is just fine with me. And then I came across this great diy from Jenny and knew instantly that it was the project that my friends and I should tackle. 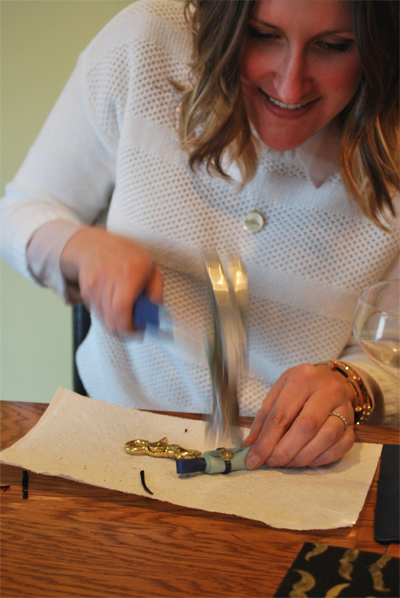 Her diy has great step-by-step instructions which we followed to a "T" so you'll have to forgive me for not listing them out in this post. 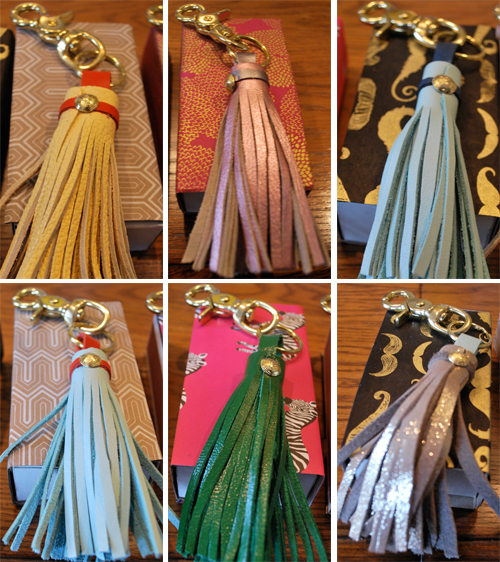 But I do have a bunch of pics of the girls working ever so hard on their leather tassel keychains so that you can get a good idea of what to do. 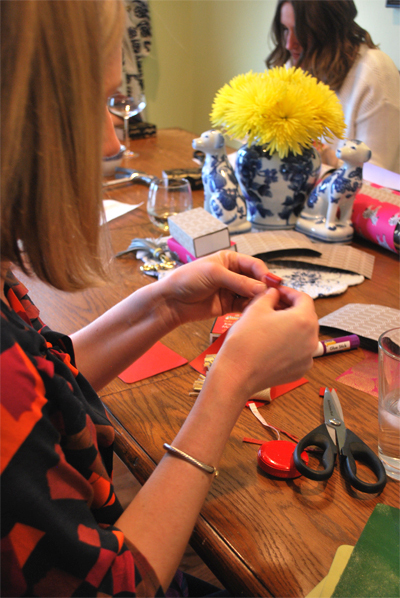 And as if one diy project wasn't enough for us, we decided to tackle diy matchboxes too. I had seen these on Pinterest and thought it would be a quick & easy diy to tackle so we added that to the mix. Since this one was SO easy to do, I didn't really get any photos of us working on it. But I promise you, it is super easy to do. 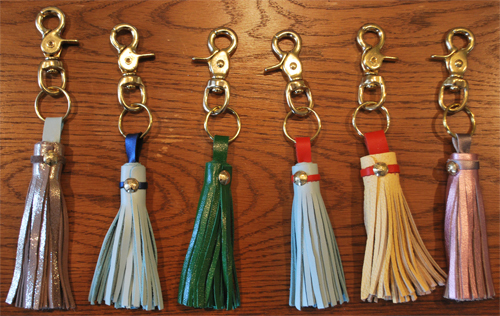 It's so funny, the first step of the leather tassel keychains was the hardest part for the girls to get started on. 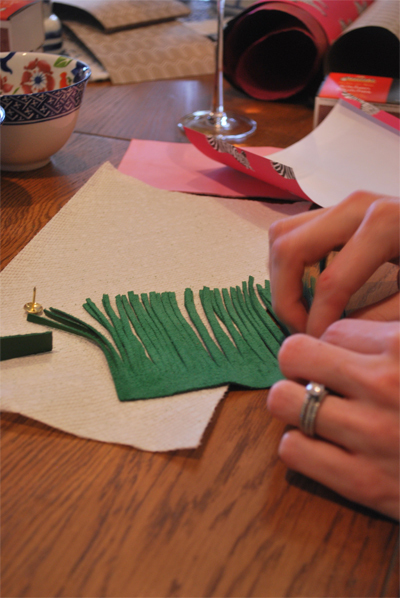 They were so afraid of cutting the leather, but once they got over that, it was easy peasy. 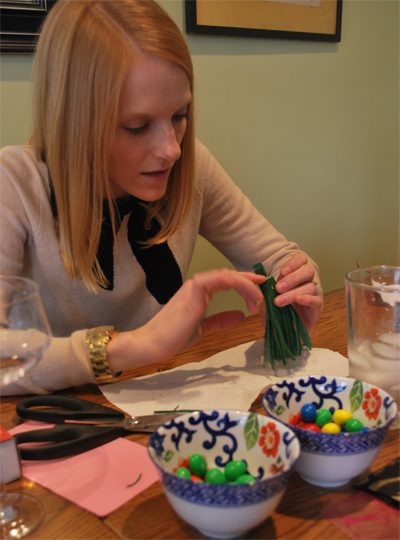 Nothing like mini Cadbury Easter eggs and Peanut & Almond M&Ms to keep you working hard at a diy project. 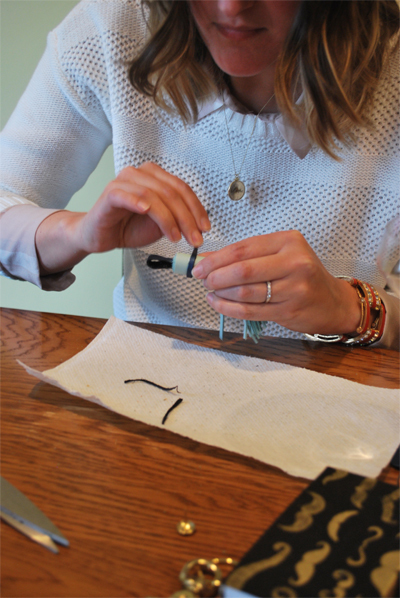 Jojo, of Cline Rose Designs working hard to get that nailhead in. 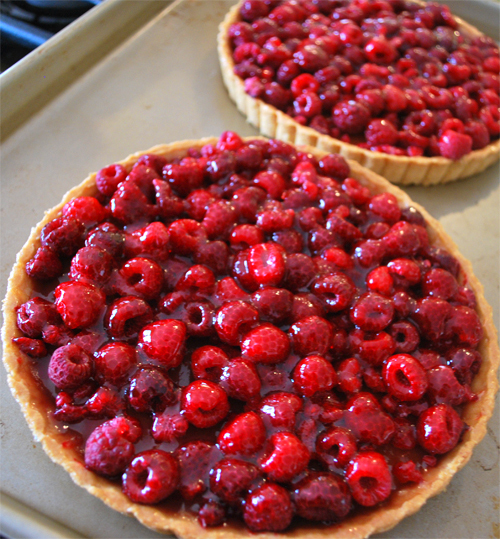 Yup, we stopped for a Raspberry tart break. Thank you Trader Joe's! 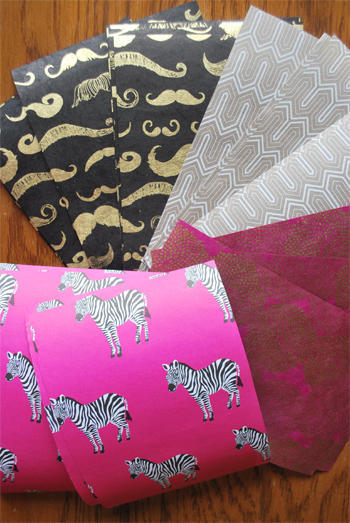 I had a hard time picking out the paper for the diy matchboxes because Paper Source has such a great selection. But I had to decide and these were the four I thought the girls would like. 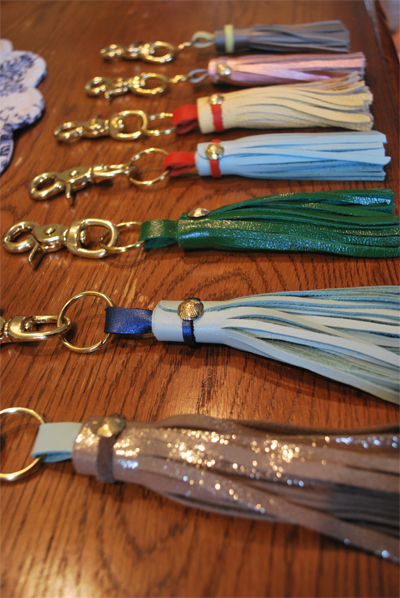 Even though we all knew what color leathers we chose, it was so fun to see them all finished and lined up. 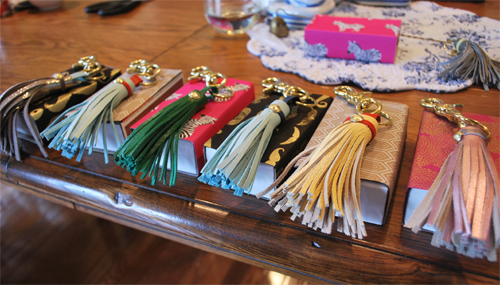 Everyone's leather tassel with the diy matchboxes they made. Again so fun to see what the girls chose for their matchboxes since it's reflective of their personalities. A few of the girls showing off what they've done so far. We missed you LWT, Liz, & Alicia! I am so obsessed with this idea. What a perfect excuse to get together! Was it easy to find the leather? Looks like such a fun party! Definitely going to have to have my girlfriends over for a DIY night soon! did you use the patent leather by any chance? Where do you get metal clip? the top of the keychain? Do you need any special tools for this project? It seems to be too good to be true! 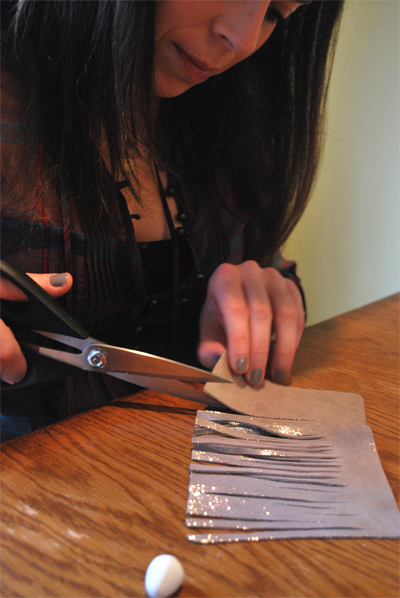 Great idea I will definitely have some friends over to do some of this, but was it hard to find leather, and I think that is could use some more explaining about what to do after you cut the leather..